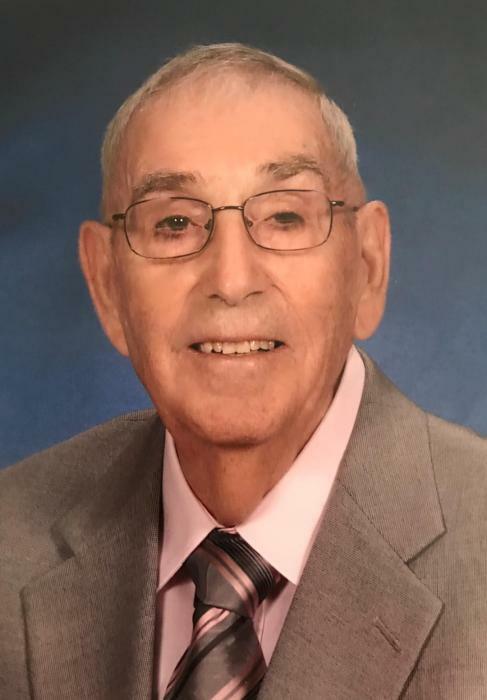 Reverend Daniel Harris Jolly, Sr., 94, of 214 Cochran Drive, passed away Tuesday, January 29, 2019 at the North Carolina State Veteran’s Home. A memorial service will be held at 1:30 PM, Friday, February 1, 2019 at Warsaw Baptist Church with Dr. David Gaperson and Rev. Forrest Moss officiating. The family will receive friends immediately after the service in the church. A service will be held at 2 PM, Saturday, February 9, 2019 at Cornerstone Baptist Church in Greensboro, NC with Dr. Rick Byrd officiating. Daniel, born in 1924 in Brunswick County, was the son of the late Herber Thurston Jolly and Lydia Caroline Walker Jolly. He was a member of Cornerstone Baptist Church in Greensboro. He pastored throughout the state of NC. In addition to his parents, he was preceded in death by his wife, Virginia Meadows Jolly, sister Evelyn Lounette Jolly Elks, and brothers, Joseph Heber “Joe” Jolly, Sr. and Gabe Forrest Jolly. Survivors include: daughter, Claudia J. Hollingsworth and husband John W. Hollingsworth; sons, Daniel Jolly, Jr. and wife Nancy Jolly, Samuel Kenneth Jolly and wife Joan V. Jolly and Stephen Lynn Jolly and wife Anna M. Jolly; seven grandchildren; ten great grandchildren; and several nieces and nephews. In lieu of flowers memorials may be made to Wycliffe Bible Translators, PO Box 628200, Orlando, FL 32862, Mission Dignity at PO Box 819109, Dallas, Texas 75381-9109, or Samaritan’s Purse at PO Box 3000, Boone, NC 28607.